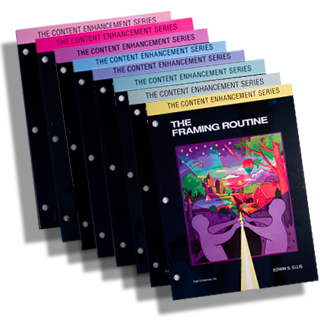 At the heart of each Content Enhancement program is a special form that allows important information to be displayed in a visually sensible way. 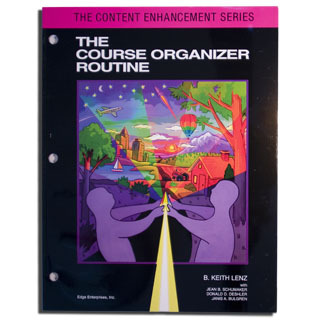 Referred to as “graphic organizers” or “visual devices,” these forms improve students’ abilities to organize, understand, and remember critical information. 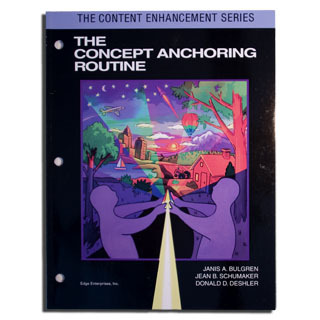 Once the forms are constructed through the use of a routine where teachers and students work together, students can use these forms in a variety of ways: as study guides for upcoming tests, as jumping-off points for further areas of research, as outlines for essays, or simply to figure out how one part of a course relates to another. 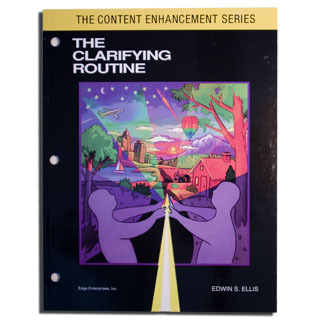 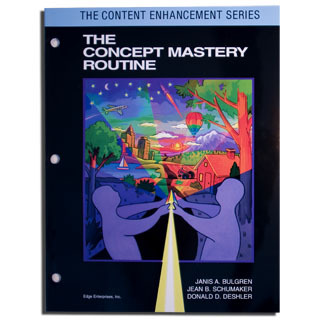 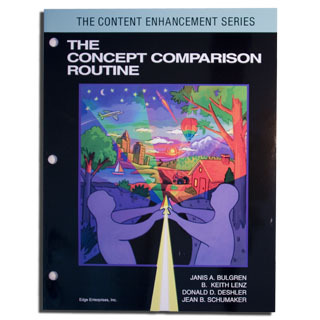 Guidebooks in the series fall within the following general categories: routines that enable teachers to plan and lead student learning; routines for teaching concepts; routines for explaining text, topics, and details; and for increasing student performance. 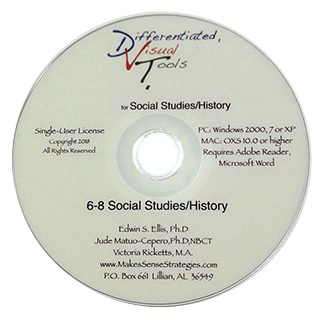 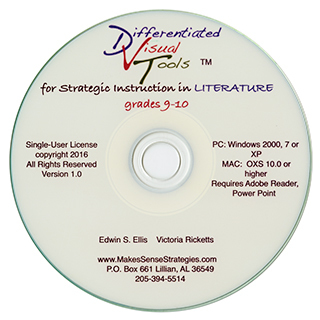 Differentiated Visual Tools (DVTs) is an approach to Content Enhancement that focuses on use of discipline-specific graphic organizers to enhance content and language literacy instruction. 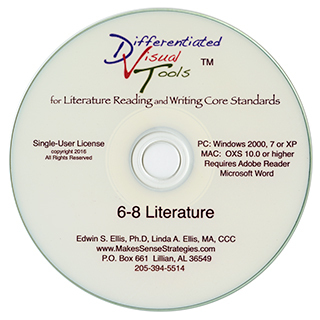 Each DVT is individually designed for teaching a specific content and/or language literacy standard in a manner that maximizes learning while reducing the cognitive load for teachers and students. 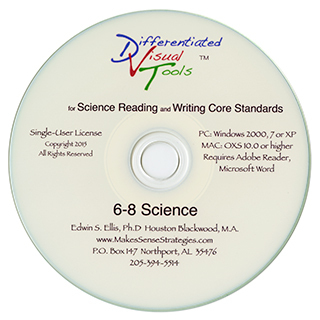 Development of each DVT involves analyzing a given standard to determine its critical “essential understandings” as well as analyzing key thinking / learning processes associated with the standard. 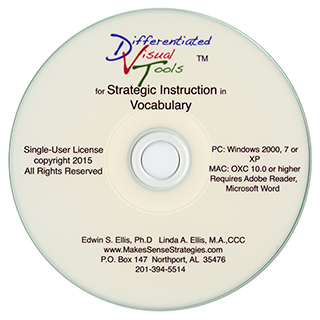 DVTs employ both visual elements and semantic prompts designed to make thinking concrete for students while they are learning and mastering the skills and/or content associated with a specific learning standard. 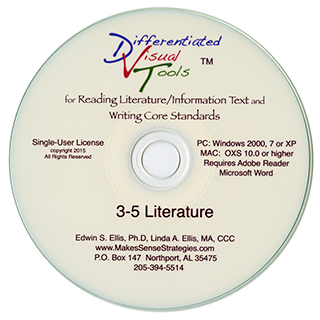 DVTs work hand in hand with other Content Enhancement devices. 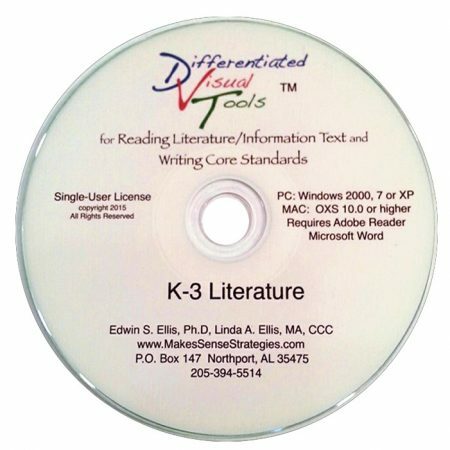 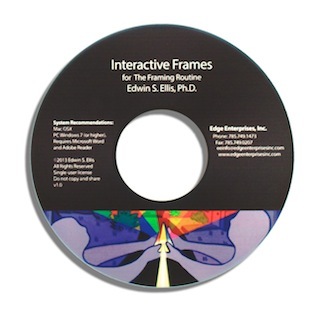 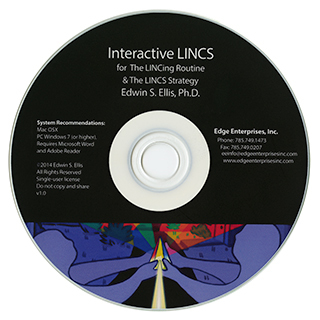 Because the ‘heavy lifting’ required for determining how to best organize complex information in a manner that enables students to rapidly understand, each DVT was developed in such a way that the time, energy, and expertise needed to plan lessons that address complex information have been greatly reduced.